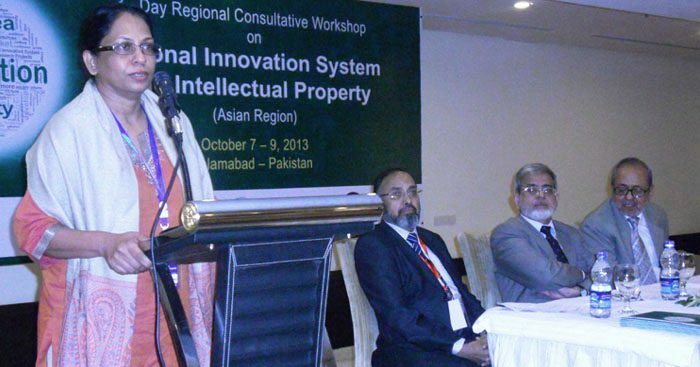 The COMSATS-ISESCO Regional Consultative Workshop on National Innovation System (NIS) and Intellectual Property (IP) was held in Islamabad from October 7-9, 2013. 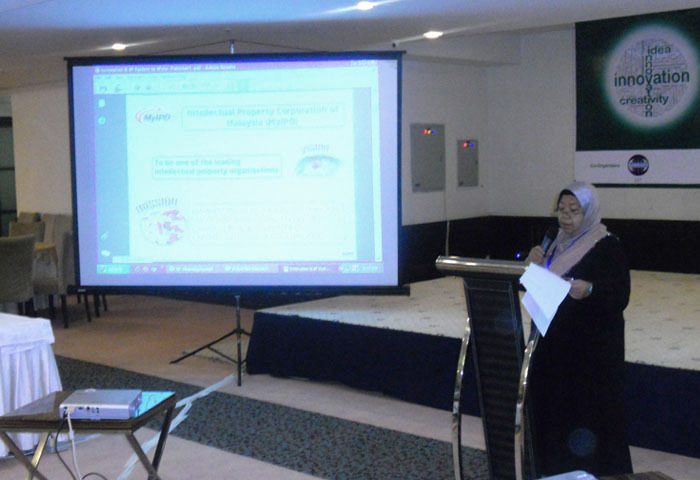 The workshop was jointly organize d by the Commission on Science and Technology for Sustainable Development in the South (COMSATS); Islamic Educational, Scientific and Cultural Organization (ISESCO); Inter-Islamic Network on Information Technology (INIT), and COMSATS Institute of Information Technology (CIIT). 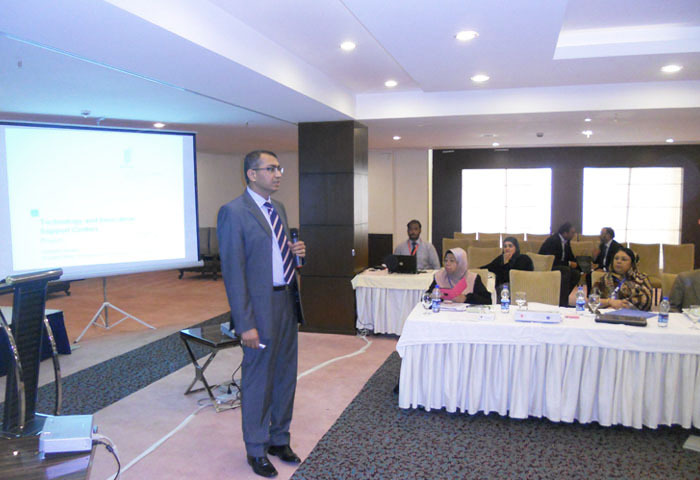 The workshop was conducted with an objective of developing capability of the participants from the OIC Member States (Asian Region) to understand and possibly develop NIS policies for strengthening technology capability, as well as responding effectively to the challenges of building competitiveness amid globalization and rapid technological change. 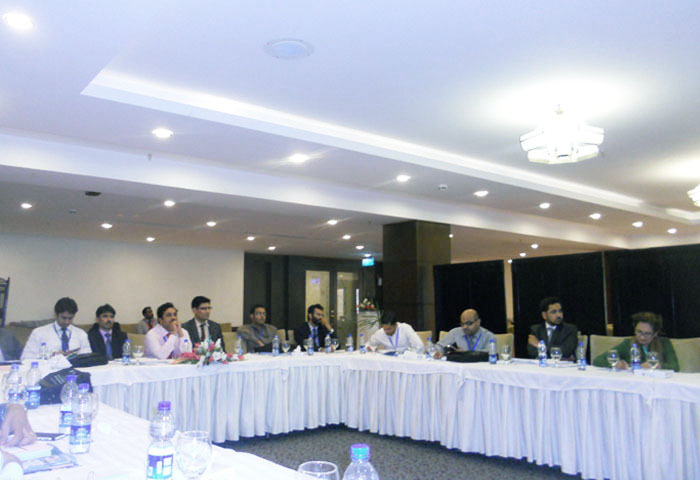 The inaugural session of the event was held on October 7, 2013. 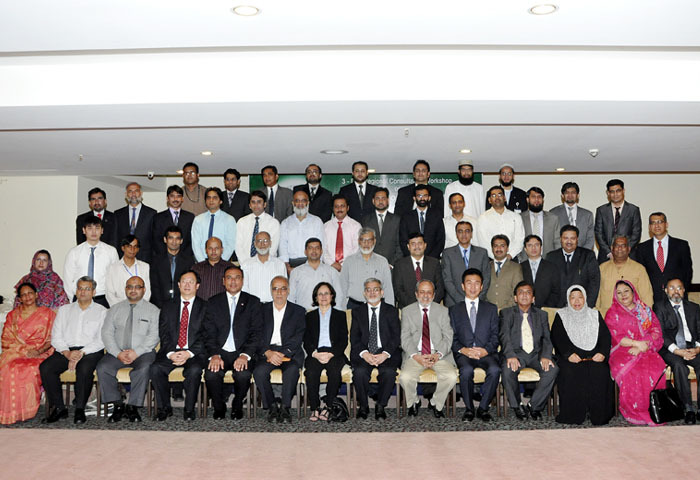 The Executive Director of the Higher Education Commission (HEC) of Pakistan, Dr. Mukhtar Ahmed, presided over the ceremony that was attended by Executive Director COMSATS, Dr. Imtinan Elahi Qureshi; Rector CIIT and President INIT, Dr. S. M. Junaid Zaidi; and Head of ISESCO Centre for Promotion of Scientific Research (ICPSR), Dr. Wafaa El Alami. Around 70 subject specialists and participants from Bangladesh, China, Iran, Kazakhstan, Malaysia, Nepal, Pakistan, South Korea, Sri Lanka, United States, and Switzerland, participated in the inaugural function. Speaking at the inauguration, Dr. Ahmed hoped that the suggestions made during the event by the local and international speakers would be helpful for developing effective national innovation systems in the Asian region. He believed that innovation in existing technologies opens more avenues for scientific research. “For innovation to fully benefit societies,” opined Dr. Ahmed, “the process of research, technology and innovation has to be recognized as a cyclic process rather than a linear process”. Earlier, addressing the gathering Dr. Zaidi welcomed the dignitaries, participants and the resource persons of the workshop. Speaking on the occasion, Head of ICPSR, Mrs. Wafaa El Alami, congratulated the organizers of the event and highlighted ISESCO’s focused approach and strategic objectives for 2013. In his speech on the occasion, the Executive Director COMSATS brought to light COMSATS’ cooperation with ISESCO and ICPSR during the last few years, under which a number of capacity building events were organized on important themes of great relevance to the Member Countries, including Internet security, and repair and maintenance of scientific equipment. He noted that these events have resulted in building indigenous capacity of the beneficiary countries and saved their foreign exchequer worth millions of dollars. Discussing innovation systems, Dr. Qureshi opined that it is rather challenging for developing countries to implement sound national innovation systems in the post-Industrial Revolution scenario, due to: i) increased competitiveness; ii) diminishing raw materials globally; iii) global environmental concerns; and iv) lack of democratic traditions. The 8 technical sessions of the workshop consisted of talks and presentations that introduced innovation, its types and classifications; highlighted the impact and effect of innovation on national economy; discussed delivery mechanisms for and key agents and actors in a national innovation system; elaborated intellectual property and its role for knowledge-driven economy; covered the perspectives of universities, industries and R&D institutions and recommended their strong linkages; as well as addressed key issues viz. patent filing, prosecution and enforcement. 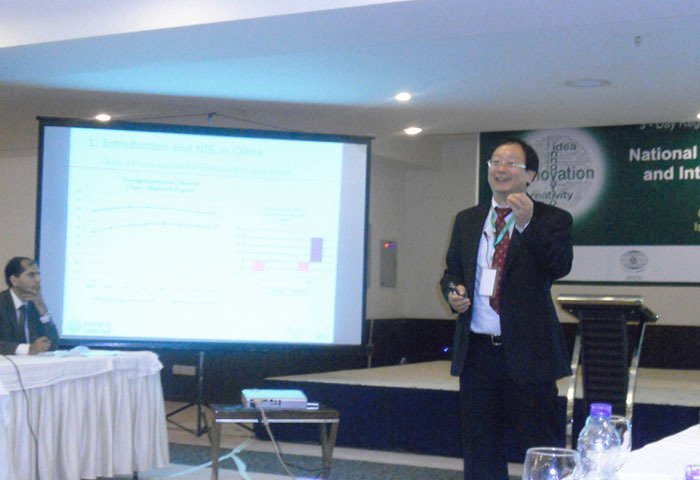 An insight into the innovation policies of developing countries was also provided during the event through the country-specific presentations made by participants from Bangladesh, China, Iran, Malaysia, Nepal, South Korea, and Sri Lanka. 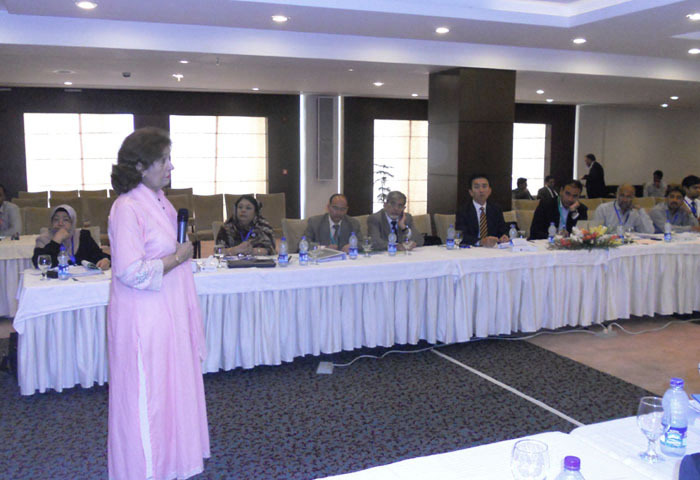 The institutions and organizations that were represented during the workshop included: World Intellectual Property Organization (WIPO), Switzerland; Intellectual Property Organization (IPO), Pakistan; COMSATS Headquarters, Pakistan; COMSTECH, Pakistan; Hong Kong University of Science and Technology, Hong Kong; School of Economics and Management, Tongji University, China; Tribhuvan University, Nepal; Coordinating Secretariat for Science, Technology and Innovation (COSTI), Sri Lanka; Bangladesh Council of Scientific and Industrial Research (BCSIR), Bangladesh; Iranian Research Organization for Science and Technology (IROST), Iran; and H.C. Park & Associates, USA. 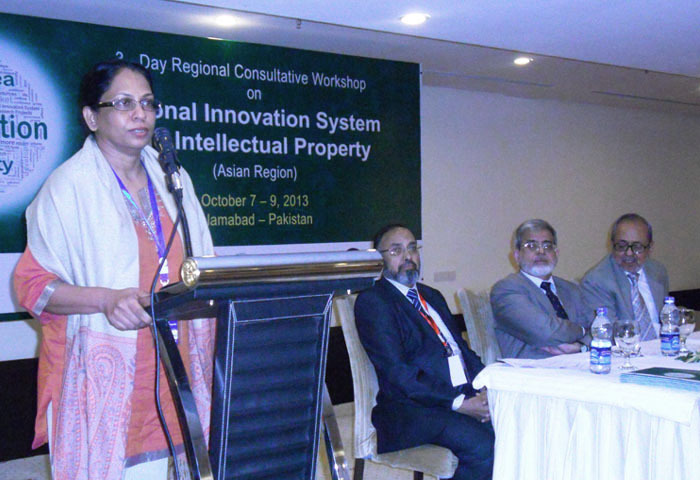 The closing ceremony of the event took place on October 9, 2013 and was preside d over by the Executive Director COMSATS, who opined that the developing countries will have to support and strengthen their intellectual property organizations in order to improve the delivery mechanism of National Innovation Systems. Dr. Qureshi especially appreciated the participation of World Intellectual Property Organization, Switzerland, and Pakistan’s Intellectual Property Organization for their inputs of crucial importance towards the theme of the workshop. He encouraged the participants to use the rapport developed during the event for future interactions and consultations. Acknowledging the strenuous efforts of the organizers for making the event successful, he encouraged the participants to give their feedback to further improve the outcomes of the future events of this activity. Dr. Qureshi also invited the worthy speakers to submit complete write-ups on their presentations to be published as the proceedings of the workshop and also invited them to write for COMSATS’ bi-annual journal, Science Vision. Prof. Sirimali Fernando, the CEO of Coordinating Secretariat for Science, T echnology and Innovation (COSTI), Sri Lanka, in her vote of thanks on behalf of the invited speakers, expressed pleasure for having the opportunity to participate in a highly informative workshop that comprised excellent technical presentations on various aspects of NIS and IP. She also desired to build on the existing relations between COSTI and COMSATS. Also during the closing ceremony, the Rector CIIT applauded the organizers, speakers and participants in making the event a success. The Advisor (Programmes) COMSATS, Mr. Tajammul Hussain, thanked the collaborating organizations during his concluding remarks and noted that the 2nd and 3rd workshops on the theme will be held in the near future for African and Middle East regions. At the conclusion of the event, the organizers and participants of the event were given mementos and certificates of participation, respectively. The three-day regional event resulted in accentuating the importance of innovation and intellectual property for the rapid national development in the present information age and globally competing knowledge-driven economies. The deliberations made provided sound suggestions for enabling policy framework for an effective and integrated national innovation system and supportive intellectual property rights, as well as on the role of key stakeholders in an economy.